Each wire wire wrapped ring is handmade with stirling silver. You can choose from an assortment of styles ranging from simple everyday deigns to elaborate cocktail rings. If you would like a custom made style, please contact us and we will be happy to wire wrap a ring just for you. Handmade stirling earrings are available in a variety of styles. Each style is unique with crystals. and gemstones. 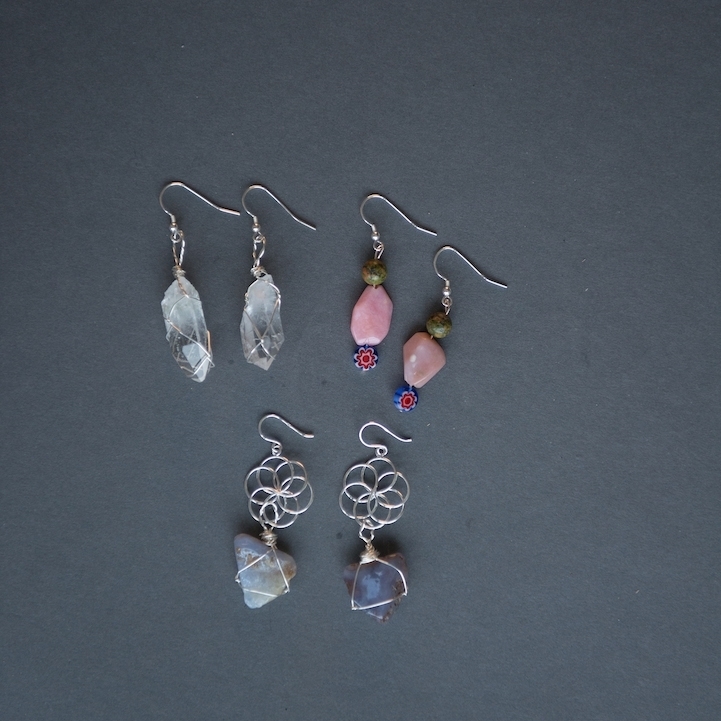 Pictured here: Crystal Quartz Wire Wrap Design, Pink Opal Beaded Earrings, and Flower of Life Earrings with Chancelony.